Make Direct Energy your Connecticut electricity company and trusted home services provider for electricity, plumbing, electrical, and HVAC services. Explore what Direct Energy offers: plans that fit every Connecticut lifestyle. Choose from many competitive CT electric rates, giving you the energy security you deserve instead of prices that change with the passing of seasons. You'll love knowing exactly what energy rate you'll pay on each electricity bill. Your home is your most valued investment. When it's time for maintenance or repairs, you want knowledgeable and experienced plumbers and A/C professionals. That's how we're different from your average CT energy supplier, we've assembled a team of highly-trained home services experts in Connecticut to maintain your plumbing, wiring, climate control and more. Don't wait for an emergency to connect with a reliable a home repair person. Direct Energy's Home Protection Plans provide skilled service for all your electric, plumbing and HVAC systems. We maintain your equipment to prevent problems before they occur, and if something does go wrong we will be there to fix it. Visit our Learning Center for all the information you need to know about your energy and home. 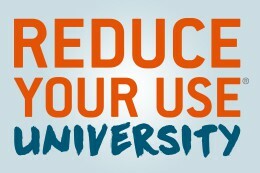 With our Reduce Your Use University, you'll learn seasonal energy saving tips and methods to improve your home energy efficiency to lower your bill. Direct Energy takes the uncertainty out of climate control maintenance with upfront pricing and clear, complete communication about the work your system needs. Join Direct Energy on Facebook, Twitter, Instagram, Pinterest, YouTube, Periscope, and LinkedIn to stay in-the-know about industry news, important updates for our customers, weather information, and energy efficiency tips. Look out for special promotions and games on our page too – there's never a dull moment with us! Connecticut, did you know that there are other power companies in CT besides your utility company? 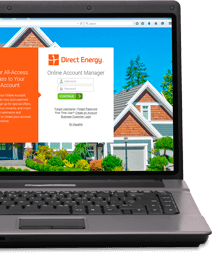 Forget dealing with Connecticut electric rates from United Illuminating or Eversource, and get on board with Direct Energy! 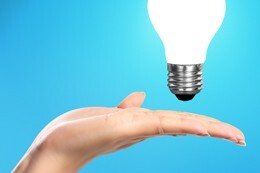 Take advantage of your power to choose with Direct Energy's variety of competitive Connecticut electric plans and rates.